Sep 27, 2011 — When the luxury five-star St. Regis Bangkok hotel opened in April, its inaugural general manager, Andreas Oberoi, couldn’t have been more delighted to assume responsibility for the remarkable new property. Andreas Oberoi came from The St. Regis Mardavall Mallorca Resort, another typically superb St. Regis property on the island of Majorca, Spain. Being located next to three championship golf courses on the island, Andreas admits to having developed a keen interest in the game during his time there, although he says he usually has time only to play nine holes. 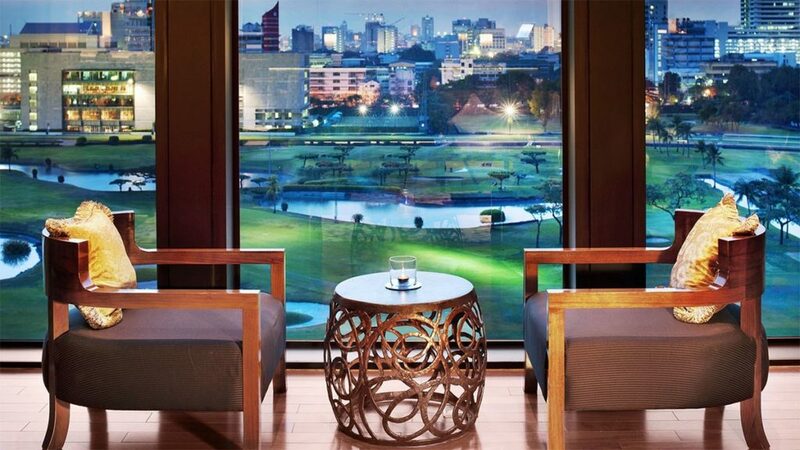 Nevertheless, having a GM interested in golf has translated into The St. Regis Bangkok offering its guests access to five local golf courses: Thai Country Club, Alpine Golf & Sports Club, Muang Kaew Golf Club, Navatanee Golf Club and Suwan Golf & Country Club, all of which are within easy reach of the city. 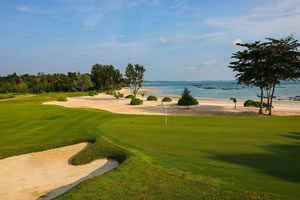 Thai Country Club and Muang Kaew are both members of Golf in a Kingdom: The Thai Golf Experience. The hotel can arrange transport to and from each course. Green fees range from 4030 baht (approx. 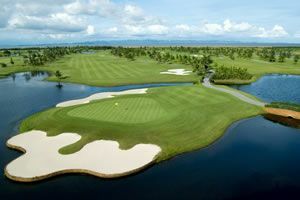 $US135) when playing with a partner on weekdays at Suwan Golf & Country Club to 10,530 baht (approx. $US350) on weekends at Alpine Golf & Sports Club. While admitting to not being a regular golfer, Andreas says he enjoys the game because it is one of few sports that different generations can enjoy playing together. “There aren’t many sports that you can play with your son and father and everyone can have a great time,” he points out. As the first St. Regis hotel in Thailand or Indochina, The St. Regis Bangkok has become Thailand’s first hotel to offer butler service for all guests. This is one of many exclusive attributes of the hotel that was named by Lufthansa’s premium Hideaways magazine as “Newcomer of the Year” for 2011. Its 227 rooms include 51 suites and 53 residences on the property’s upper levels. Another highlight is the Elemis Spa. Only the fourth Elemis to be opened in the world (the others are in London, Miami and Hong Kong), the spa brings a new standard of presentation and spa treatments to Bangkok – quite a feat for a country in which spas have become a byword of upmarket hotels and resorts.